With this fan, I was aiming for a super strong tool that could pick up hard textures or sheer products that I love but that I find difficult to build up on the skin. This is the brush if you enjoy a sharp and more dramatic designed contour or highlight, if you need something to precisely layer and polish off your products or swipe away any setting or baking powders. If you love Rodial, Denona, RMK, Suqqu type of harder pressed contour powders, this is the brush that will help you build them up and apply them effortlessly. 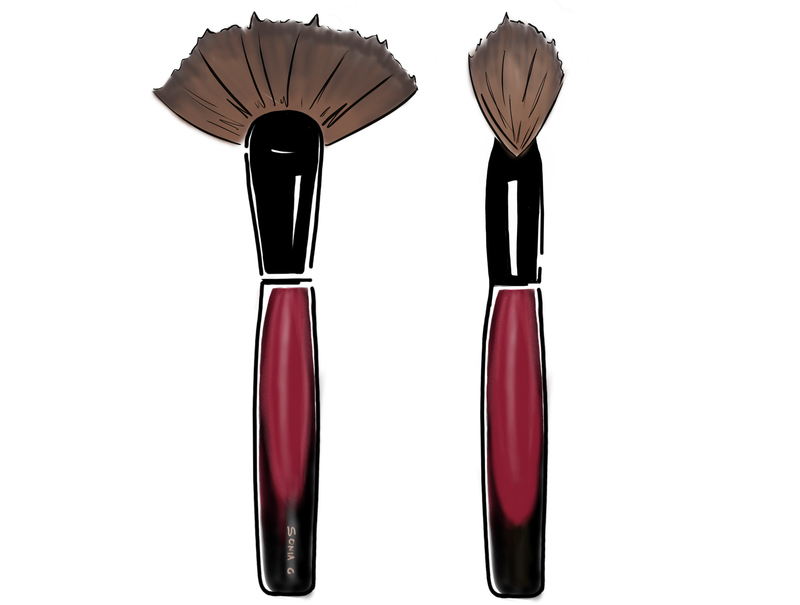 As a contour brush it will deliver the most structured and defined application compared to the Sculpt Two or any of the other fans. As a highlighter brush, it will be appropriate with the most stubborn formulas, either pressed or loose, for example meteorites or matte highlighting powders where you need a more precise application and work the product onto the skin. For contour, pick the product with the surface or the sides depending on the precision you are aiming for, tap off excess, apply with short back and forth motions starting at the hairline and work the product gently onto the skin. Wich one do you advice for Dior highlighter, sisley gelee Bronzing powder and Estee Lauder xVictoria Bechamelsaus highlighter the sculpt 2 or the sculpt 4? My Surratt highlighter brush don’t pick up that’s much. I want a subtle glow. Thanks for the help and keep up the good work.